NTR, Koratala Siva has teamed up for Janatha Garage earlier, which is one of the biggest hits in Tarak's career and soon the duo set to collaborate again. The film will take shape after NTR wraps SS Rajamouli’s RRR project. NTR, Koratala combo will be made with a huge budget which will take shape in 2020. Koratala in planning to introduce his friend Mikkilineni Sudhakar as producer with the production house Yuvasudha Arts. However the film will also be made in association with Mythri Movie Makers. 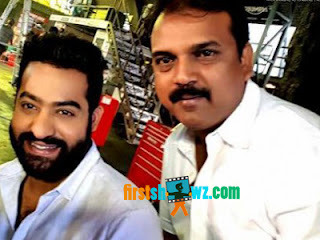 Since NTR and Koratala Siva agreed to work together for Mythri Movie Makers after Janatha Garage, they are set to honor their commitment to the production house, and thus the second combo of NTR and Koratala will be produced jointly by Mythri Movie Makers as well as Yuvasudha Arts. The film is going to be a commercial entertainer and the script is to be locked.